While Khloe Kardashian is posting subtweets at Jordyn Woods and Tristan Thompson after they apparently exchanged spit and tongues in the girl code-breaking, cheating scandal heard around the world, Jordyn is taking her talents to family friend Jada Pinkett Smith's talk show. Let the tea spillage begin. 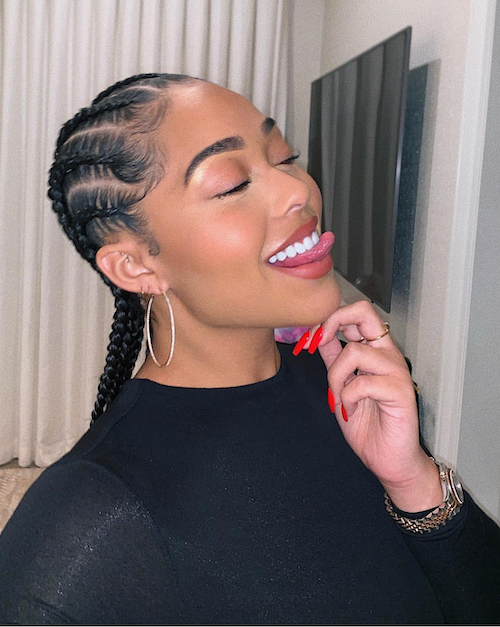 So, about that cheating scandal involving Jordyn Woods - Kylie Jenner's long time bestie whom she's been attached at the hip with since they were kids - and Kylie's sister Khloe Kardashian's baby's daddy Tristan Thompson...it's about to get messier. Tristan took his community D to a party Jordyn was at last week, and apparently was confirmed to have "made out" with her. The whole family - especially Kim with her "Don't Mess With My Man" song subposts - has flipped on Jordyn faster than they flip on their culture culture ways. They've all unfollowed her, and their other friends like Larsa Pippen and Malika Haqq are talking ish too. Because what you're not going to do, apparently, is pull a them on them. Sucking the face (and other things) of a friend's man is something only THEY are allowed to do. But the moment you do it to them, it's OVER. Jordyn posted a video showing an extra dramatic walk that ended with her sitting down Jada Pinkett Smith's red table at her Red Table Talk Facebook show. Also, Jordyn now is supposedly telling people she was "black out drunk", according to TMZ, when she made out with Tristan, and she doesn't even recall knowing what she was doing when she made out with him. "We're told Woods was wasted before she even went to the house party where witnesses say she snuggled up to Tristan. She's saying she was actually blackout drunk ... as in, she doesn't even remember how she got to the party or anything that happened there." Sources close to the Kardashians say the family is calling BS on Jordyn's story -- citing the fact party-goers were told to put their phones away when Jordyn arrived -- which shows Woods wanted her rendezvous with Thompson private. Our sources say Jordyn also drove herself home from the party ... something she wouldn't have done if she was wasted. The Smiths and The Woods go WAY back to when Jordyn and Jaden Smith went to grade school together. So it looks like Jada is doing her a solid. This is about to be the most Jordyn has spoken in her umpteen years of being Kylie's friend. 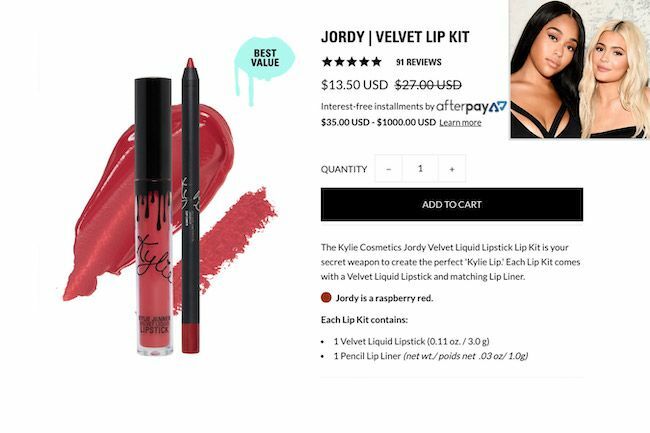 Jordyn may have been real silly to have given up her meal ticket, or at least her access ticket, that got her a room in Kylie's houses, all the vacays (above on vacay with Kylie and Stormi just last month) and money spending perks, modeling deals with Khloe's Good American Jeans and her own lip collection with Kylie's lip kits. But...maybe she simply learned from the best. Because we all know those sisters have allegedly done major cheating dirt for YEARS. All those aforementioned situations are a wrap by the way. A moving truck was spotted outside Kylie's house the day AFTER the scandal broke, Kylie put Jordyn's line on sale to get rid of it and Khloe ripped down her dedicated page on the GA site. But, if Jordyn and her mom - who appears to be quite Kris Jenner like - can flip this into something more than the side scraps and leftovers she already had, more power to her. Yet another example of pulling a them on them. These Kardashian-Jenner sisters certainly aren't new to this "take your friend's man" game. They're culture vultures when it comes to appropriating things black women create and features they're born with, and always are caught up in some BS when it comes to said black girls' men too. Amber Rose accused Kim K. and Kanye West of cheating together behind her back when they first got together as a couple. Khloe found out on the "Keeping Up" show that one of her many athlete boyfriends several seasons ago was married to a black woman, and she continued dating him. Rapper Trina - who was good friends with Khloe at the time - revealed she found out her and French Montana were over WHILE SHE WAS AT HIS HOUSE IN NYC and she looked up and saw him hoping on a private jet with Khloe. Khloe and French dated publicly right after that. And we all know how Trashy Tristan left his ex, Jordan Craig, while she was in her third trimester with his baby, to start publicly dating Khloe. And there's no way Khloe just didn't know they were a couple, she met them just weeks prior at Kevin & Eniko Hart's wedding. Kendall Jenner was accused by Tinashe of starting to date Ben Simmons - popping up courtside at his games - while Tinashe was very publicly dating him as well. And Kylie has some audacity being this mad at Jordyn. Her history of how she got with Tyga - who was dating her sister Kim's then bestie and his baby's mother Blac Chyna at the time - is WELL known. And she's also rumored to have started dating her now baby's daddy Travis Scott while her other bestie - who conveniently she's no longer seen with - Justine Skye was dating him. As for the sisters' other besties Malika Haqq and Larsa Pippen: Malika was accused of getting with late rapper Chinx while he had a wife and kids at home. And Larsa's now ex-husband Scottie Pippen accused her of cheating with rapper Future. So it may be for the best for them to sit this one out instead of chiming in on dragging Jordyn. Of course, the sisters always deny (or just never address) any of these rumors. But where there's smoke, there's fire. And they can keep their faux outrage they couldn't seem to find after Tristan cheated on a 9 months pregnant Khloe the first time. NEXT: SECURE YOUR WIGS! Solange Is Reviving BlackPlanet, Hints At New Project + Cowboy Boots, Hats & A Stripper Pole? !